Companion guide for cyclists and parents of children learning to ride safely. Features include choosing and setting up a new bike, cycle maintenance, accessories as well as a special section on finding and taking the Bikeability course (including full syllabus). Riders are guided through all the key rules of the road and there's a test yourself quiz section, designed to aid understanding of the key cycling concepts and rules. 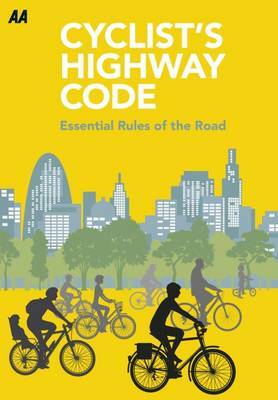 The ideal companion guide for parents of children learning to ride safely, the Cyclists Highway Code: Essential Rules of the Road introduces cycling to young riders and contains all the relevant rules and signs from the Highway Code.